The word postmodernism generally refers to a form of contemporary culture, whereas the term postmodernity alludes to a specific historical period. Postmodemity is a style of thought which is suspicious of classical notions of truth, reason, identity and objectivity, of the idea of universal progress or emancipation, of single frameworks, grand narratives or ultimate grounds of explanation. Against these Enlightenment norms, it sees the world as contingent, ungrounded, diverse, unstable, indeterminate, a set of disunified cultures or interpretations which breed a degree of scepticism about the objectivity of truth, history and norms, the givenness of natures and the coherence of identities. . . . Postmodernism is a style of culture which reflects something of this epochal change, in a depthless, decentred, ungrounded, self-reflexive, playful, derivative, eclectic, pluralistic art which blurs the boundaries between ‘high’ and ‘popular’ culture, as well as between art and everyday experience. Crossley explains that he will attempt to link “postmodernity with the political trends in Anglo-American culture”, if not precisely, then by means of a “general case” that itself will be “a strong one”. We’ll see how strong it is as we progress through these reviews. 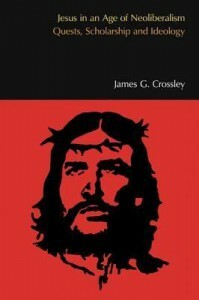 Now there is much about Crossley’s politics that I like. I share his despair at the political conservatism, the lack of critical political reflection and awareness among his biblical studies peers. I like his idealism and frustration with his peers as well as his respect for their individual decent natures. Unfortunately I sense that too often Crossley loses himself in his efforts to politically educate his peers that he only maintains the most tenuous links with how these political views influence the shape of the historical Jesus produced by these scholars. The chapter is wide-ranging as we expect when discussions of postmodernity and postmodernism arise. The cultural, economic and political context involves a broad-ranging discussion that consists masses of data: “near hagiographical treatments of the ‘material girl’ Madonna and her MTV stage”, “Steve Jobs, advertizing his iPoducts as the machinery of the casually clothed”, the politico-cultural symbolism of decaffeinated coffee, television parodies of entrepreneurial culture, 1970s Chile, the recession and oil crisis of 1973, the “sharp rise in personal image consultants in the 1980s”. . . .
a preference to present themselves as historians more than theologians. In other words, whatever happened to Rudolf Bultmann and good-old scholarly scepticism? Arnal’s discussion is a broad one encompassing scholarly, political, religious and cultural identities. This posts focuses on only the scholarly identity. I give some of the background relevant to this new scholarly identity formation since the 1970s and 1980s since it helps us understand more completely what has been going on that has led theologians to stress their apparent credentials as historians. Up until the 1970s and 1980s New Testament scholarship was dominated by “Bultmannian, post-Bultmannian, or Bultmann-trained scholars”. The “New Quest” for the Historical Jesus is traditionally said to have begun in 1953 with a publication by Ernst Käsemann arguing that the only way to be assured a saying of Jesus was authentic was that it stood distinct from both Christianity and Judaism. This was called the criterion of double dissimilarity. It did not mean that Jesus said nothing that overlapped with distinctively Jewish or Christian ideas but that the only ones we could be reasonably confident came from Jesus were those that were dissimilar to both. Ernst Käsemann was a student of Bultmann. Norman Perrin — an American, not a student of Bultmann but a student of Jeremias. 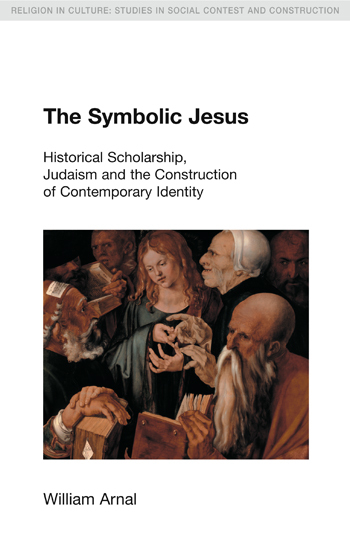 A “considerable skepticism about the historicity of any of the gospel material, especially narrative but also sayings materials’ (The Symbolic Jesus, p. 41). But Arnal points out that all of that changed “with a vengeance” in the 1970s and 1980s.